BIAFRA RESTORATION: IS IT NOT TIME FOR BUHARI TO HAVE UNDERSTANDING OF TIME AND KNOW WHAT NIGERIA GOVT OUGHT TO DO? In the Holy Bible, precisely 1 Chronicle 12:32, it said "the children of Issachar had understanding of time ..... and knew what Israel ought to do....". I just read a publication from Voice of America website which talked about the open letter written to Mr. Donald Trump, United State president-elect by Mazi Nnamdi Kanu, the eloquent leader of Indigenous People of Biafra (IPOB). As I was reading through the publication in the VOA, I understood that the RESTORATION OF BIAFRA is the issue of the moment with the greatest attraction of the global attention. One must remember that prior to now, western world media outlets such as VOA, BBC, CNN, etc maliciously put a media black-out in the report of issues and happenings around the project of Biafra restoration. So, by this publication which summed up the general happenings around Biafra restoration project by Voice of America, I discovered that Biafra restoration has become the issue of the moment deserving understanding of time by Gen Muhammadu of Nigeria. 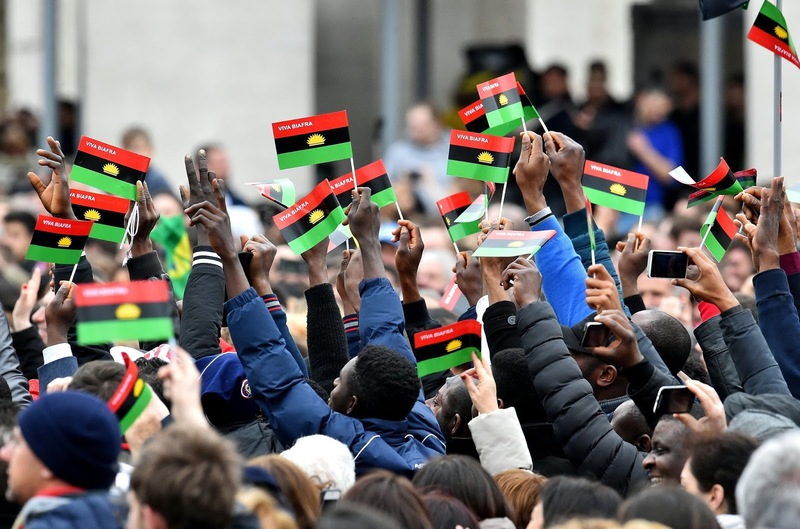 As Biafra restoration has become the desire of the entire humanity, is it not time for Buhari to swallow pride and have understand of time and abide by the desire of the world? If there is anything the world wants passionately at the moment, it is desire for the restoration of Biafra. Even Nigerian senate have shown that they are tired of state sponsored tyranny against Biafrans by Gen Muhammadu Buhari which they demonstrated when they told Buhari to release Nnamdi Kanu and restore Biafra if he (Gen Buhari) want their support to obtain a $30B loan facility for the government of Nigeria. I want the global populace to ask Gen Buhari a question like this "is it not time for him to have understanding of time in order to know what Nigeria should do about Biafra"? What Gen Buhari and his Nigeria should do at the moment to the expectation of people all over the world which will show that they have understanding of time is to obey all the pending court orders and release Mazi Nnamdi Kanu come November 17 court sitting, and call him on a dialogue table for a discussion that will herald the carving out of Biafra. There is nothing any more that all the good people all over the world is expecting from Gen Buhari at the moment than carving out Biafra from the federation of the defunct Nigeria. Should Gen Buhari have understanding of time and carve out Biafra from Nigeria, he has succeeded in writing his name on the sand of history. The world will celebrate him as a HERO who valued the desire of the global populace as virtually everybody in the world is already wearied by the sensational requisition for the restoration of Biafra. It is time for Gen Buhari to courageously call Nnamdi Kanu and his team to a dialogue table for discussion to commence concerning how Biafra is to be restored. My understanding of time is that the time now is 'RESTORATION OF BIAFRA' o'clock. I rest my case!